Oh My Rosehip Oil Antioxidant +, You are Lovely! We all seem to know the feeling of dread the next morning when half the night was spent awake with tossing and turning. For me, I was up from 1:30-4 am and thought for sure I should just throw in the towel and get up for the day. I did finally fall back to sleep for 2 more hours. I felt so discombobulated in the morning, that I instantly prepared myself for my coworkers and family to tell me how exhausted I looked. I took a hot shower, I had two cups of tea. I made sure to not skip a step hydrating my face, I went for eyeliner and mascara instead of my quick mascara touch up, I even put on lipstick before heading out to work. Turkey 101: Organic, Heirloom, or Pasture Raised? Every year Thanksgiving rolls around and in our home the only option is to serve a turkey, but does where you source your turkey from make a difference? Did you know there are a variety of non-conventional turkey options? We have always purchased our turkeys from Whole Foods Market, but this year in particular I looked into the type of turkeys they carry. Whole Foods Market carries Diestel turkeys in three varieties organic, heirloom, and pasture raised. 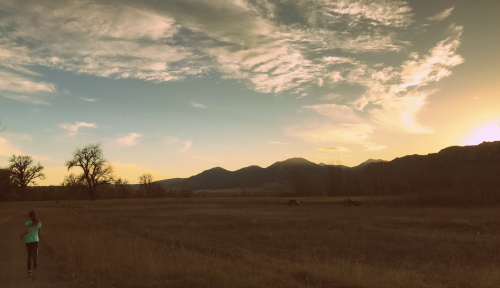 I'm not quite sure what came over me, maybe it was the weather or the slow approaching sun easing towards the mountains in the west. I asked my girl if she wanted to join me for a trail run. Of course she said yes, so we laced up and set out. I requested she not sprint the entire way, I gave her an out on the return to sprint from the wooden bridge back to the Cottonwood trees at the trailhead. She agreed and stayed pretty close to me as I made my way down the trail, occasionally she'd turn her head back to make sure I was still plodding along. I don't know if this will be a regular thing, but I do know it's a special place to share with my girl. 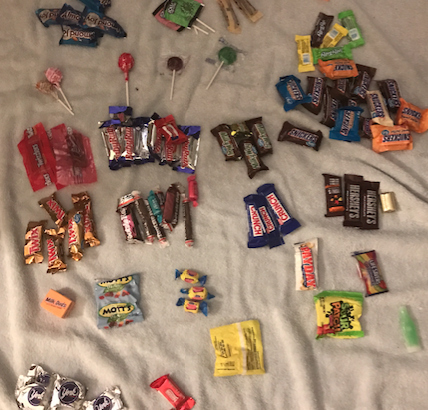 Gasp, What To Do With All The Halloween Candy?!? Negative self talk, are you familiar? I have the ability to say things to myself that I wouldn't fathom ever saying aloud, which is definitely a special kind of negative self talk. One of the best ways for me to overcome negative self talk is to confuse it. 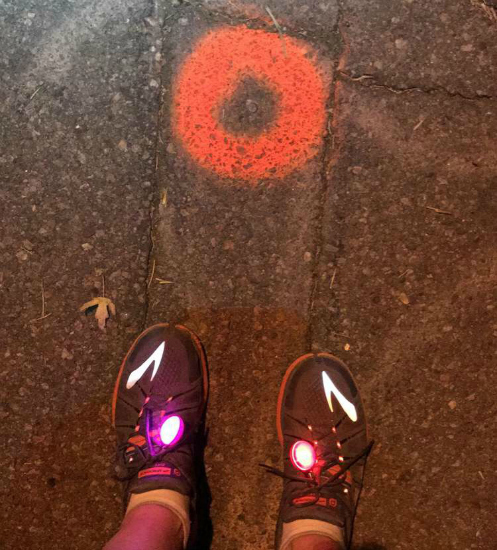 A friend asked me to join a group on an urban night run and I said, YES. Now mind you, I didn't just say yes sign me up. I said you're organizing a night run and you thought of me, why? My reaction seemed quite normal because the negative self talk doesn't hesitate, it likes to be ready in a moment's notice. I would easily be the first to admit I'm not a runner in about 50 different ways sitting on the tip of my tongue, but I still said yes. The premise behind saying yes to this run was to shake up my patterns to self defeat, to self deflate. If I raise the bar on the limitations I set on myself, how does that carry over into my everyday life?